How Legally Binding Is a Voluntary Child Support Agreement in Pennsylvania? The ease of enforcement of a voluntary support agreement depends on how the agreement was memorialized; parties can agree to child support in a variety of ways in Pennsylvania. In the least formal agreement, parties can just agree and not write anything down. A written contract is another option. The court can approve or incorporate such an agreement into a court order. Finally, the parties can go through the usual child support process and ask the judge to include a voluntary agreement in the court order. The more formal the agreement, the more likely it will be enforceable. Yet, even the most formal agreement is modifiable if the agreed upon child support is inadequate. When seeking an enforceable child support order, avoid oral or informal written agreements. While Pennsylvania law recognizes oral contracts, in a recent case considering the application of oral contract principles to child support, the court refused to enforce an oral contract the parties made for their child's college support. Instead of trying to enforce an oral contract, the custodial parent typically files for child support if an oral or informal agreement is broken. The date of filing through the courts is the first day a child support obligation typically becomes enforceable. Some couples choose to agree to child support in a marital settlement agreement. A marital settlement agreement is a voluntary agreement in which parties resolve various issues related to the marriage, such as property division, alimony, custody and child support. These contracts are formal and are typically merged or incorporated into the divorce decree. This creates a valid, enforceable court order. Even contracts which are not merged or incorporated may later be recognized by the court and enforced, depending on the circumstances. A voluntary support agreement can also be entered as a court order through the Pennsylvania Child Support Enforcement Program, administered by the Department of Public Welfare's Bureau of Child Support Enforcement. To enter a voluntary order this way, the custodial parent files a petition for child support with the Domestic Relations Section of the county Court of Common Pleas. When the parties appear for the support conference, the support officer will provide the parties with a calculation of the recommended support under the guidelines. A voluntary order entered in this way is just as enforceable as an order that was entered after a court hearing. A marital settlement agreement entered as a court order can be enforced with all the same remedies as an order entered by Pennsylvania's Child Support Enforcement Program. This includes wage attachment, incarceration, fines, income tax intercepts, driver's license suspension and more. The big difference is that the child support program has an enforcement division that handles enforcement of orders entered through or registered with their office. Therefore, if a parent wishes to take advantage of the enforcement methods provided by the program, she would need to first register her court order with the Domestic Relations Section of her county. Otherwise, she can seek enforcement through the court system with the help of an attorney or handle the filings herself. Pennsylvania law is very clear that parents are not allowed to bargain away their children's right to child support. So, if a private agreement is entered and provides less than what that child would receive under state law, the custodial parent can always modify the order through the court to increase the support amount. This applies even if the parties agreed that the obligation cannot be modified in the contract. Enforcement of such contracts will be considered based upon the individual terms of the contracts and the specific facts of the situation. The Pennsylvania Code: Section 1910.1. Scope. Definitions. Are Nonprofit Pledges Legally Binding? People make promises a lot, especially to support a good cause. In light of this, the following question often arises: When a person makes a promise, is she legally obligated to follow through on it? Whether a nonprofit pledge is legally binding depends on the circumstances of the promise and the response of the nonprofit when it hears of the pledge. By its very nature, a divorce can be extremely contentious. For couples with minor children, interpersonal conflicts often simmer over matters related to custody. While the court will attempt to craft an arrangement that will best suit the needs of the child, one parent may refuse to follow the order. In that case, the other parent can pursue a contempt action to impose penalties and encourage compliance. The divorce process in Virginia allows spouses to negotiate their own divorce settlement and submit it for court approval. If a couple chooses to write their own settlement agreement, they can likely avoid a divorce trial in front of a Virginia circuit court. However, before the court may approve the settlement and finalize the divorce, the court must confirm that the settlement meets the state law requirements for a valid agreement. 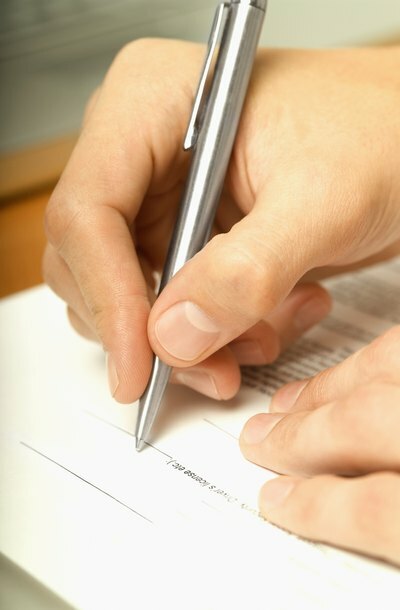 Do Binding Contracts Have to Be Notarized? When Can Child Support Be Terminated in Kentucky?